So, you’re staying in Sydney? Well, prepare to have your mind-blown by the beauty of this harbor city and its amazing accommodation options. Choose one of these, and you’ll have a stay of your life! Sheraton on the Park is one of the most-awarded hotels in the region and it’s widely praised among business travelers, tourists and all those in between. It’s a go-to place for all those who seek luxury, glamour and relaxation in the center of Sydney. Aside of their deluxe rooms and flawless service, Sheraton on the Park is also very close to Darling Harbor, Martin Place and the Town Hall, so if you ever want to leave your room (even though you absolutely have no reason) you can see many beautiful sites during only a short walk. If you’re looking for something very stylish and fashionable, look no further than QT Sydney! 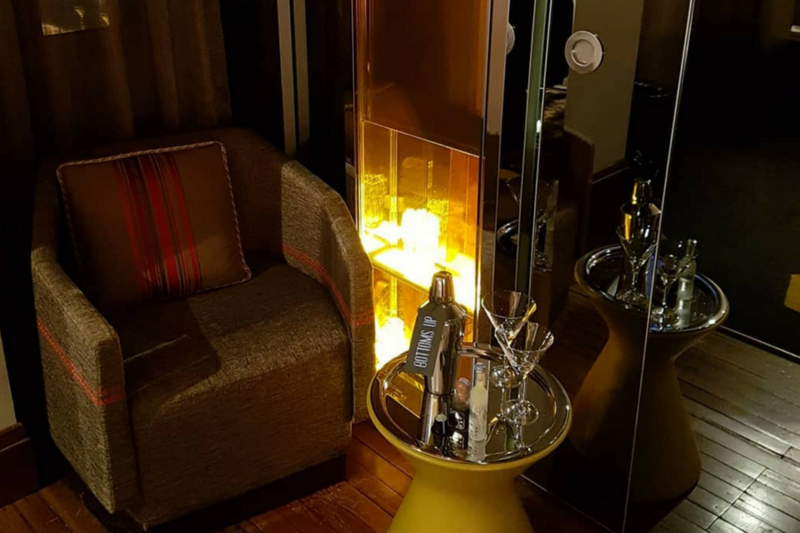 They have around 200 completely individualized and lux rooms, a spa, barber shop, a bar (make that TWO bars), a café and an exclusive restaurant. Even after all of these commodities, QT still feels cozy and private, like a personal retreat! The theme of QT’s Sydney division is classy department stores of the 50s and 60s with vintage barbershop armchairs, art deco accessories and dark, moody colors. Yet, it has a very modern flair perfect for any 21st-century man and woman! 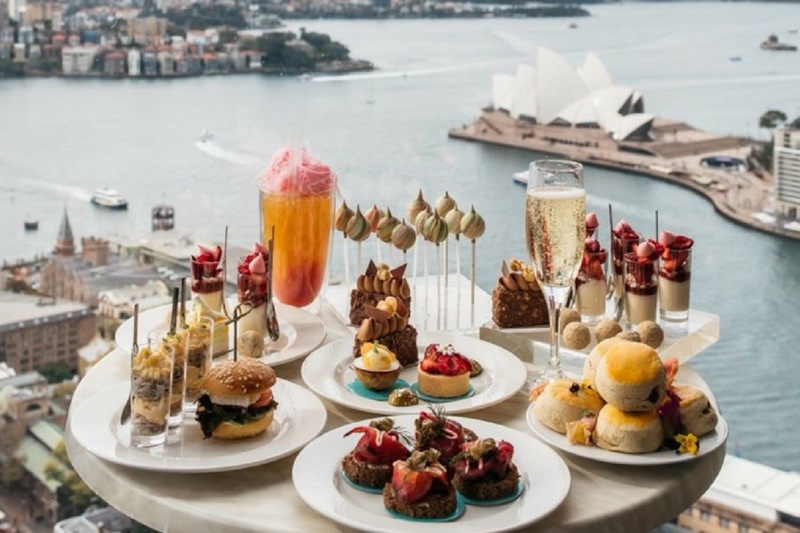 All the foodies that love some luxury with their amazing meals should definitely check out Shangri-La Sydney! You must visit their Horizon Club Lounge situated on levels 30-36. There you can enjoy some of the best Asian, continental and English breakfasts that will start your day on the right note. 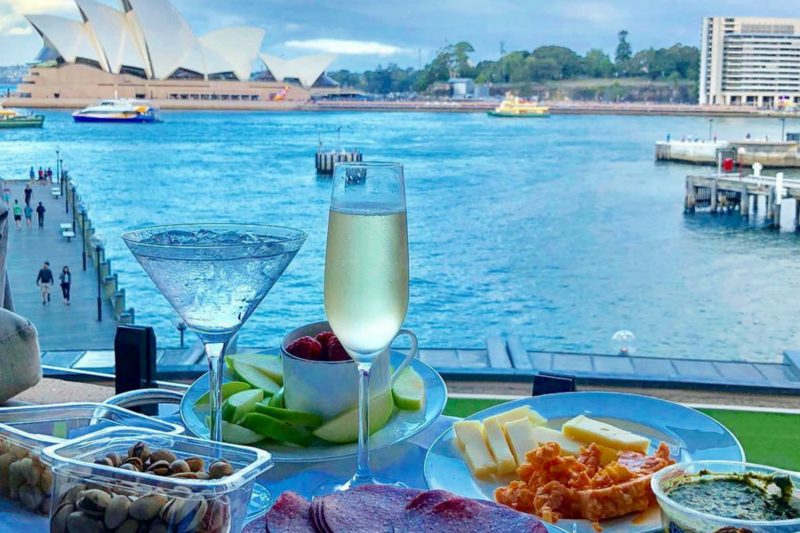 Really, who doesn’t like a little brekky with a view of the Harbor, Opera House and many little ferries, yachts and cruisers sliding below you? You can even see the Blue Mountains and the Pacific Ocean in the distance, especially on a clear, sunny day! Hyatt is a well-known name in the hospitality business and for all the right reasons. It’s the first choice of many celebs, politicians and people who love luxury and comfort. Park Hyatt will definitely not disappoint. Everywhere you turn there are glam accessories, cozy furniture and many commodities that will make your stay a really relaxing experience. However, their main perk is privacy—the rooms are insulated, very quiet and perfect for oversleeping in the morning. Park Hyatt in Sydney also has a deluxe heated pool on the roof you’ll love to bask in during the warm Aussie days and evenings. 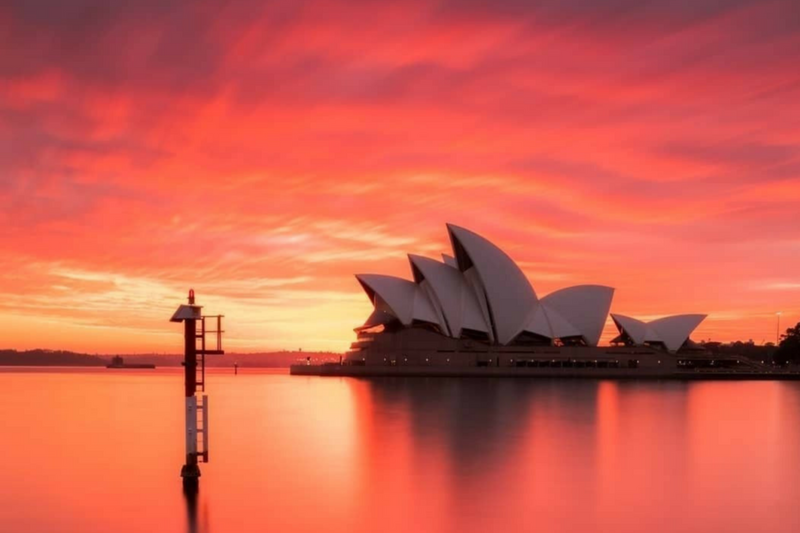 Sydney is huge on Airbnb rentals and it has some of the most beautiful, luxurious and well-located properties in the world! 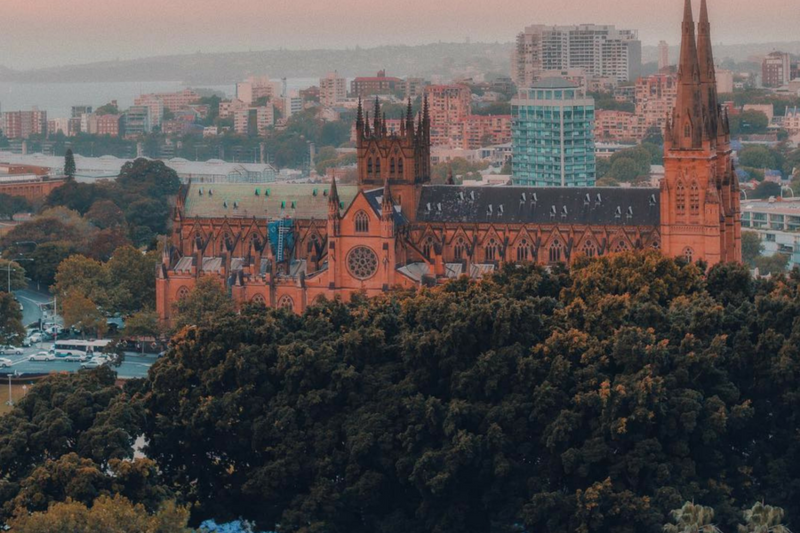 So, if you want to stay in Sydney, definitely don’t miss a chance to try out some of its best rentals. You can really find whatever your heart desires—from lux penthouses with a panoramic view of the city to chill beach villas with an ocean view. Also, Airbnb accommodation can be a great business opportunity. 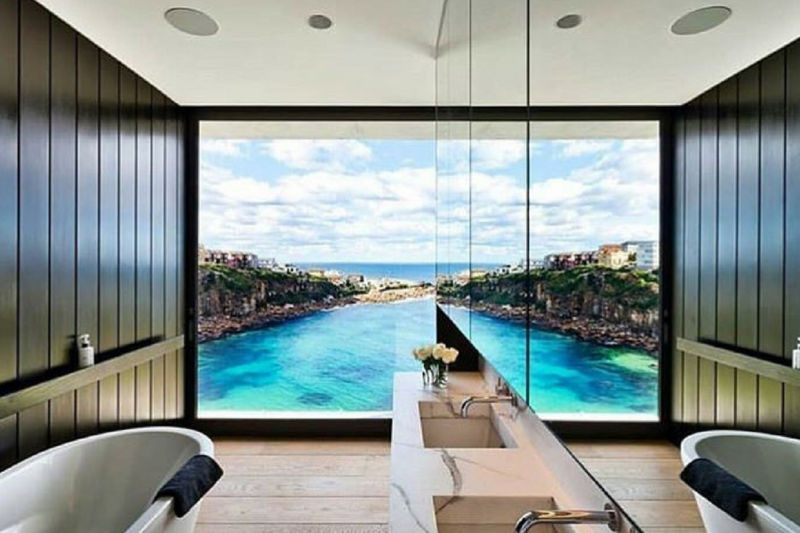 For example, if you have a property you want to rent, there are great agencies that specialize in luxurious Airbnb property management in Sydney who will take care of all your bookings, check-ins and check-outs. All you have to do is spend the money in the end! 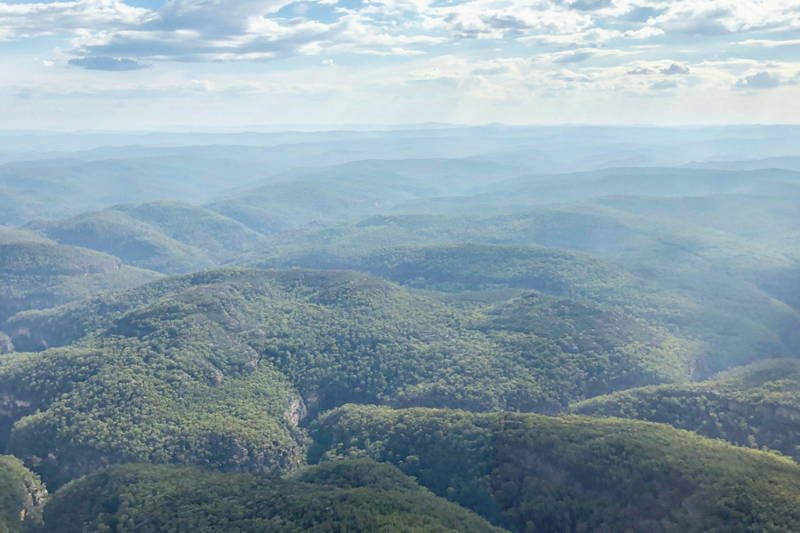 If you want complete privacy and ultimate relaxation, you must visit one of Sydney’s top retreats—Emirates One&Only Wolgan Valley! You’ll get an opportunity to enjoy all the luxury in the world while completely secluded in the Australian bush. It’s located between two nature reserves and is completely carbon-free and nature-oriented. Emirates One&Only offers a unique blend of nature, wilderness and exclusive luxury you’ll just love to come back to! Sydney offers ultimate luxury and glamour to all looking for exclusive accommodation and it will definitely not disappoint even the pickiest of travelers!